GWSN’s first official Japanese fan meeting, 'Groo my world'+'KCON 2019 JAPAN' has been confirmed. Girl group GWSN will hold their first official fan meeting in Japan. The event was the first official fan meeting held in Japan by GWSN, and it was made in a surprise move thanks to enthusiastic support from local fans. The GWSN will perform their debut song "Puzzle Moon" and mini-second album title track "Pinky Star (RUN)" as well as the album's song stage and member solo stage at the fan meeting, which will be held three times in total (one Osaka and two in Tokyo). The GWSN held mini performances and fan signing events during their first promotion in Japan in November last year, will confirm their appearance in KCON 2019 JAPAN as well as their official fan meeting, and will continue their global moves. Especially, 'KCON 2019 JAPAN' is already drawing much attention as it is known that a large number of hot artists will attend the world's largest K-culture convention, which has been held for eight years. 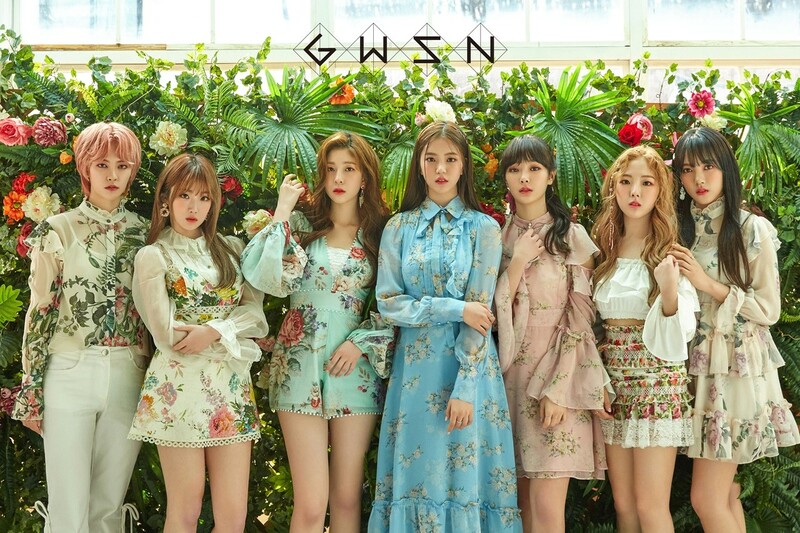 And GWSN has not yet made their debut in less than a year, it is also proving themselves to be a popular idol by posting their name in the lineup, and fans are paying keep attention to the GWSN’s stage, which will be showcased at "KCON 2019 JAPAN" along with their fan meeting. GWSN is active with their second mini album "THE PARK IN THE NIGHT part two," is captivating fans with their all-time performance and visual evolution in every stage.